Sources involved in the investigation of the Sandy Hook murders gave an interview to the Hartford Courant yesterday that included some interesting updates. The paper headlines the fact that Adam Lanza had studied prior mass shootings and may have been trying to outdo killers like Anders Breivik. This is consistent with the observation that mass shooters inspire one another, which is why such incidents tend to appear in streaks. The most promising way to reduce mass shootings, constitutional restraints aside, would be press control. If newspapers, television stations, etc. were prohibited by law from publicizing such incidents, there would be fewer of them. The investigators confirmed that Lanza used a Bushmaster AR-15 style rifle to commit his murders, and a handgun to kill himself. There had been some uncertainty on this point, because the first accounts indicated that the Bushmaster had been found in Lanza’s vehicle. They also said that “Lanza’s shooting spree lasted less than five minutes and that he fired 152 bullets while making his way through two classrooms in the elementary school.” This seems to contradict earlier reports that it took around 20 minutes for the police to arrive, which apparently precipitated Lanza’s suicide. In any event, it would be easy to fire 152 bullets in five minutes. If this latest version is correct, it confirms the adage that when seconds count, the police are only minutes away. Realistically, only an armed person who was already on the premises could have stopped Lanza’s rampage before numerous people were killed. 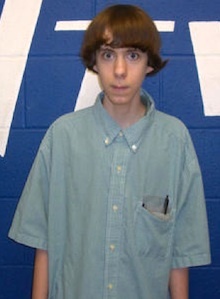 The investigators also told the Courant that while Lanza tried to destroy the hard drive of his computer before he attacked Sandy Hook elementary school, forensic experts are attempting to reconstruct it. Given Lanza’s attempt at destruction, it seems likely that the hard drive will contain information of interest if it can be retrieved.